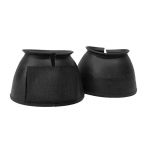 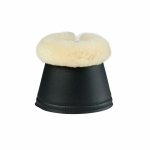 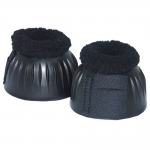 Bell boots are made with a fleece top for added comfort and protection. 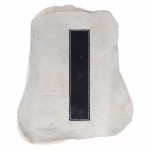 Kevlar material quality 3.5mm neoprene nylon jersey lining black PVC leather black binding. 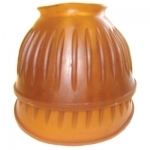 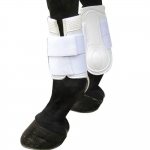 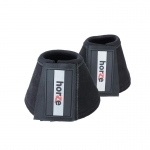 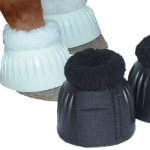 Feature ventilation holes to help cool your horse under the boot, easy to clean. 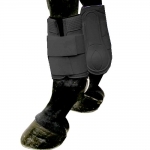 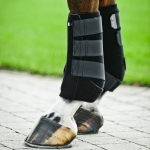 ReflectRider Front leg Boots provide protection with reflective bands for riding at night. 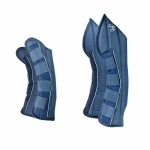 A combination of neoprene and faux leather covering join to provide a double layer of protection. 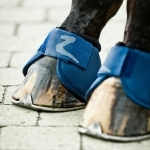 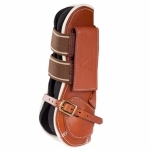 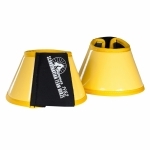 Unlike rubber boots, you no longer have to worry about the pastern rubbed raw from spinning. 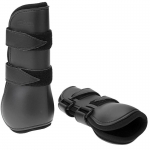 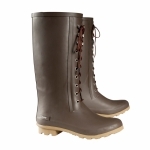 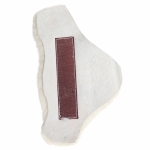 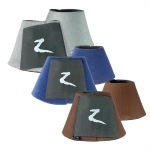 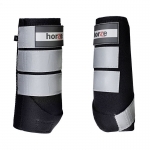 Provides extra support at brushstroke areas, quality boot has neoprene lining, front or back use.